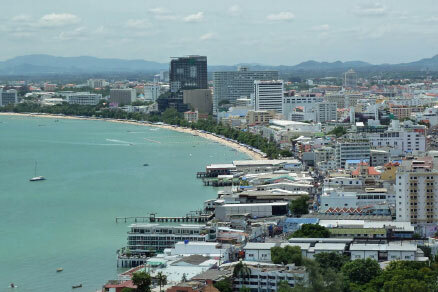 When you read the history of Pattaya it hardly gets pulses racing, but Pattaya has been regarded as Thailand’s Fun City since back in the 1970’s. It was at the time of the Vietnam War that Pattaya really started to develop a reputation as a place where you could relax and enjoy life. This was at the end of the late 1950’s and the early 1960’s, when US GI’s would frequent the same place in what these days, would be known as Walking Street. As their numbers increased, and with it, the amount of foreign money that was coming into the town, the number of restaurants, hotels and bars also started to increase. With the opportunity to earn sums of money that would have previously been unheard of, girls from across Thailand started to flock to the city in the hoping of finding a love or perhaps more accurately, money and security. Pattaya had started the evolution process to become the city that we know today. In 1965, the first major hotel opened in Pattaya, the Nipa Lodge which is now the Basaya Beach Hotel and Resort. There are a number of bars that try to stake claim to being the oldest but most records seem to point to a select few that opened in the early 1960’s including Charlie’s Hideaway and Suzanne’s. In 1967, the Royal Thai Navy base at U-Tapao allowed to first US aircraft to fly from the airport to take part in active service in the operations over Vietnam. Pattaya became the most obvious place for US troops to hang out during their R&R and the small village as it was back then, was now starting to see rapid growth and a rise in popularity. Pattaya had become so popular by this time that the US military organised flights from Saigon to Bangkok so that US servicemen could recuperate. It is believed that 6,000 troops would come for five days every month. The notion of a Fun City had well and truly begun. Come the early 1970’s, it wasn’t just the US military that was visiting Pattaya, the hippie generation was in full swing and budget travellers were looking to make the most of the low cost of living. Guesthouses and other lodging were rapidly springing up with jewellers and tailors not far behind. The city was becoming what we know and love today and as demand grew, so did the number of hotels that were springing up. One thing that was evident, and is still in evidence today, it the acceptance that whatever is demanded by the paying guests, it will be provided. The 1970’s also started to witness an influx of tourists coming from Europe. Unfortunately, Pattaya’s infrastructure was not designed to cope with large swathes of tourists and problems started to occur such as lack of fresh drinking water, poor sanitation and an archaic electricity network that was designed for a sleepy fishing village and not a resort city. These problems sadly lasted years and have only recently been properly addressed although parts of the city are still prone to flash flooding. It was during that era that Pattaya really started to take off when rich Thai families from Bangkok started to recognise the potential of the city. Some of the major hotels started to appear such as the Royal Cliff and Siam Bayhorse and Pattaya’s skyline would be altered forever. 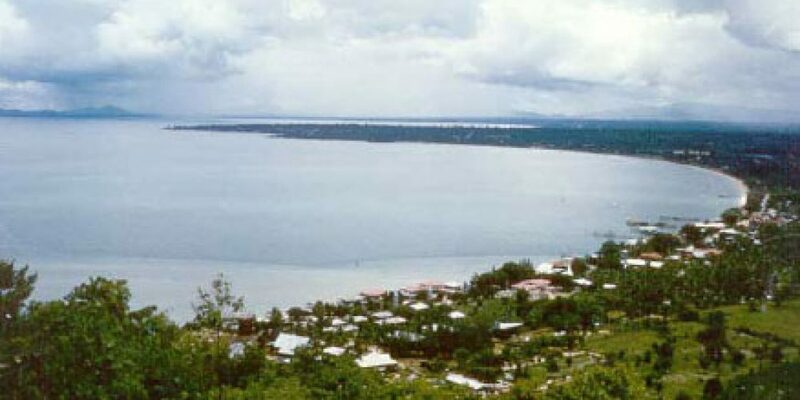 By the mid-1970’s, Pattaya had around 2,600 hotel rooms but with the US GI’s withdrawing in 1976, the number of visitors coming to Pattaya dropped by around 50% and the city struggled for two years until Naklua and Pattaya were promulgated in the Pattaya City Act 1978. The famous Tahitian Queen (TQs) Agogo opened in 1978 and still to this day remains one of the most popular in the city and the number of hotels rooms in the city was swelling rapidly and had reached approximately 7,000 by the end of 1980. The early 1980’s saw visitors coming to Thailand pass the 2 million mark on an annual basis. Many of these tourists were now starting to trek down to Pattaya to see what all the fuss was about. 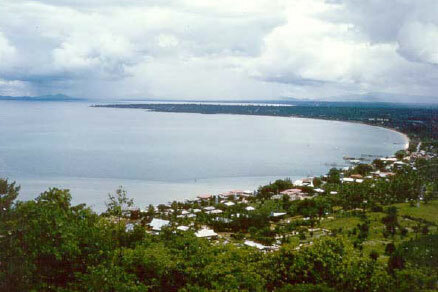 Pattaya was now recognised as a famous or infamous, depending on your opinion, resort in its own right. The number of visitors coming to Thailand and indeed Pattaya was increasing on an annual basis with the only blips being due to global financial crashes and various periods of internal political turmoil. With the Asian economic crash of 1997, the Thai baht fell to an all time low and this was something of a dream for the Thai tourist industry. Visitor numbers grew even further although Pattaya’s image was fast becoming tarnished and there was a serious threat that the city was just a destination for undesirables. As the Eastern-bloc was starting to fall apart, most notably the USSR in 1991, affluent Eastern Europeans were starting to arrive in search of some winter sun. Pattaya’s image needed to improve rapidly if these visitors were to come on a regular basis as the city was not a family-friendly destination in the late 1990’s and early noughties. Thailand entered ASEAN in 2015 and since then the number of visitors coming from neighbouring countries has increased although the bulk is now made up of Chinese. Pattaya has evolved a great deal in the last decade and is now a genuinely great place to live and visit for a holiday. Uniquely, everyone is welcomed with visitors coming from around the world. No one can predict what will happen in the future, but for now, the prospects for the city look very positive and long may that continue.